I’m busy with the last few weeks of the semester, and getting excited to be heading to Thailand for a winter of nice temps and sunshine. For week 203 of Travel Photo Thursday, I am sharing a few of my favorite photos from past visits to the “Land of Smiles”. 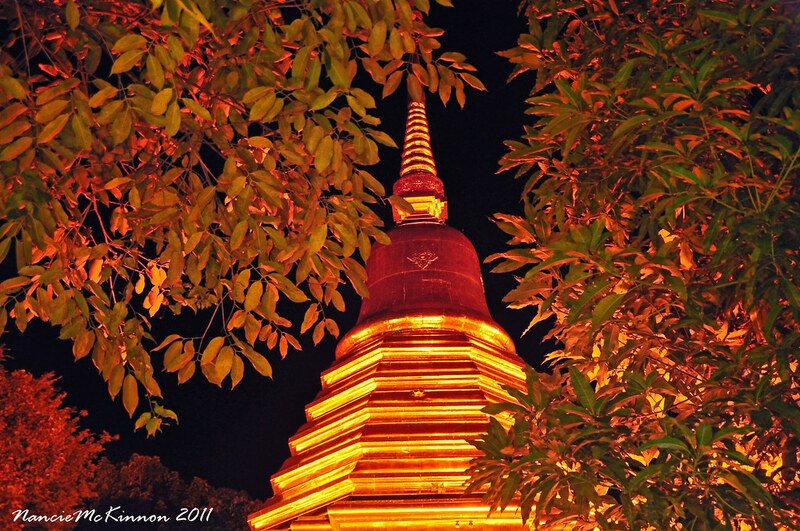 Did you know that Chiang Mai has over 300 temples? Love this shot that I took of a chedi at one of the temples in the old city. I cannot remember the name of the temple, but I know exactly where it is in my mind! Maka Bucha Day, 2014…One of the most important Buddhist holidays, and most Buddhist will go to the temple to make merit. 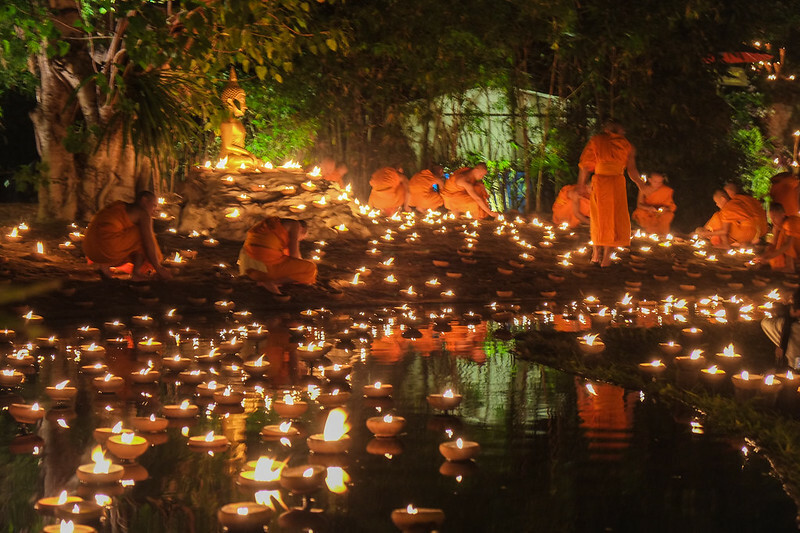 The monks at Wat Phan Tao in Chiang Mai always have a candle lighting ceremony, and encourage visitors to attend. The holiday is based on the lunar calendar, and this coming year will be celebrated on March 4th. If you are in Chiang Mai on that date, don’t miss it! 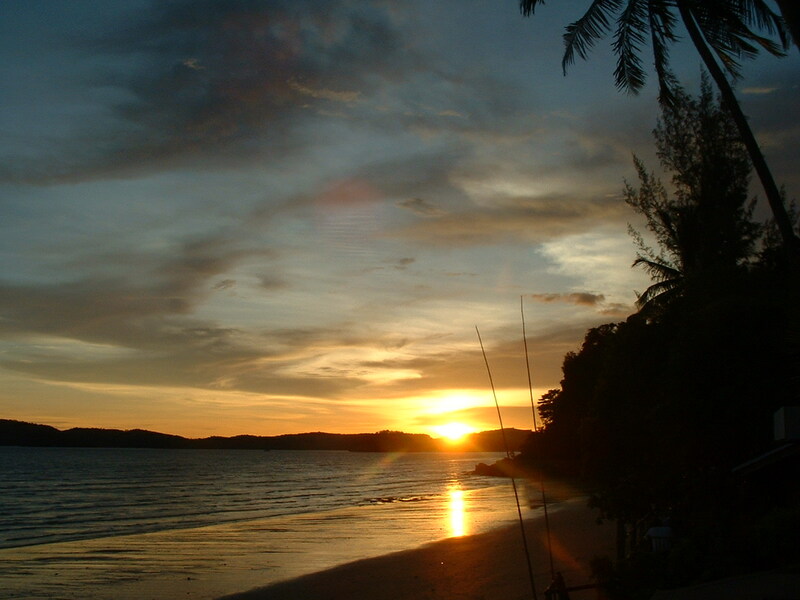 Southern Thailand… We stopped at this beach during a snorkeling trip. I’m not even sure it has a name, but is located down south in Krabi. 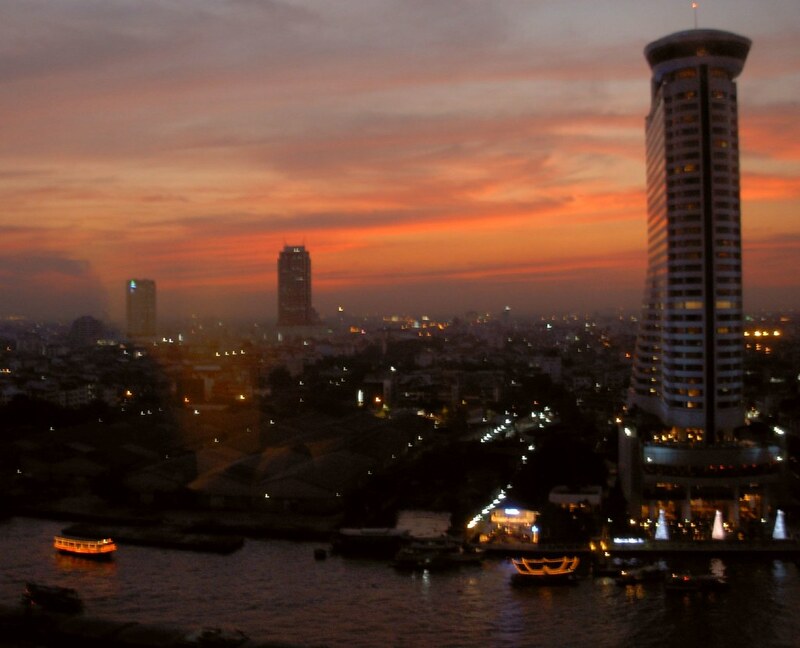 I don’t always visit Bangkok when I’m in Thailand, but it is a city that I have come to know and like over of the years. Personally, I like Thailand any time of the year. However, if you want to beat the humidity, and the rainy season, the best time to visit is between October and April. If you enjoy cooler temps, Chiang Mai is a perfect winter getaway. Particularly, December and January, you’ll find the days pleasantly hot (no humidity), and the evenings and early morning very cool. I almost never use my A/C. December thru March is the busy season anywhere in the Kingdom. Be sure to book early! This is the 203rd edition of Travel Photo Thursday. You can browse the archives here. Oh, these are tantalizing the travel bug in me! I am getting as excited about your trip as you are! Happy #TPThursday, Nancie! Hi Jackie. I can’t believe that in only 3 more weeks I will no longer be freezing my A__ off! I have wanted to visit Chiang Mai for a while now. 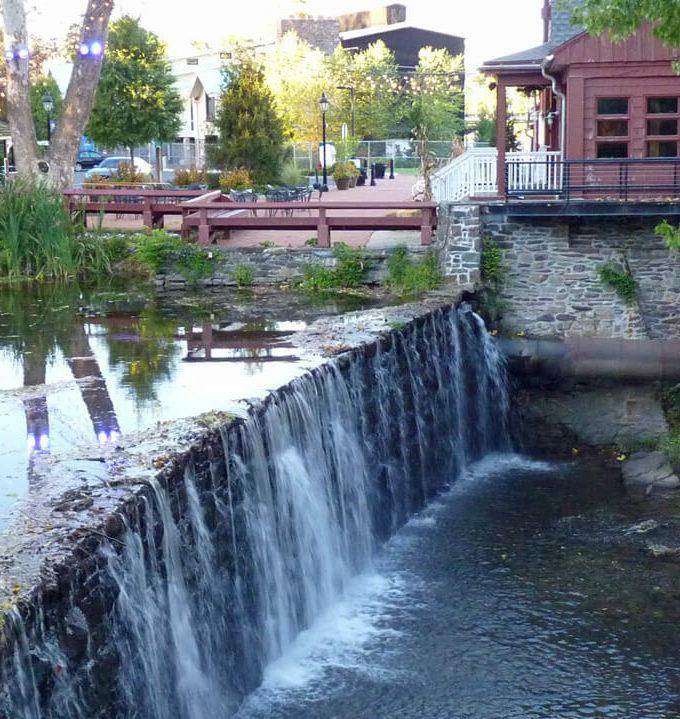 It seems like a relaxed place with good food, friendly people and cooler temps in December so sounds perfect to me. I know I will get there one day, I just need to fit it in to an itinerary. I love the emerald water, blue skies and yellow sand of the beach south in Krabi. Hi Jan. One of these days maybe we’ll there at the same time! Absolutely love that candle ceremony, what a beautiful event to attend! Hi Jess, and Happy Thanksgiving. It really was a beautiful ceremony. I do like Thailand. Can’t wait to go back to explore some more, especially since I found Chiang Mai so disappointing. From all the great things about it, seems I’ve missed the good things. Hi Denise. Definitely worth going back to Chiang Mai! I love Thailand. I have holidayed there three times but never been to Chiang Mai. I must put it on my bucket list. What a beautiful picture those floating candles make. 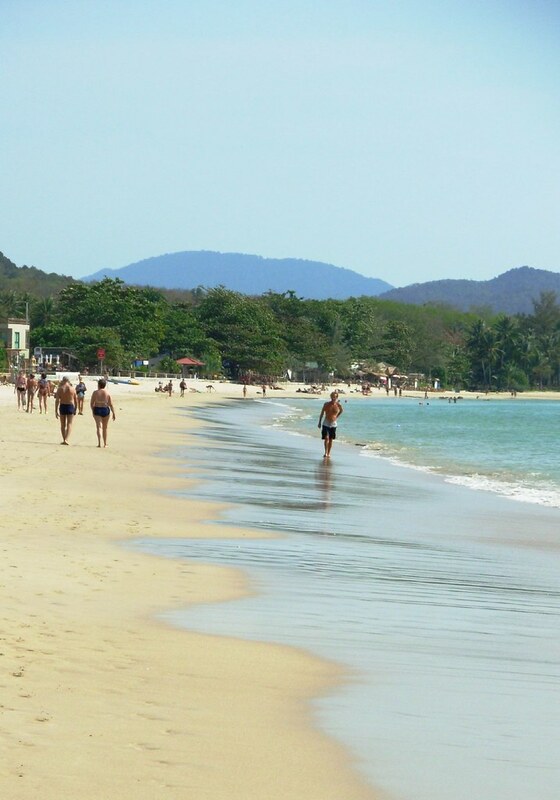 I think the beach south of Krabi is called Phra Nang Beach as I have been there and it looks like it to me. Hi Cathy. Chiang Mai is definitely worth a visit. Thank you. It was difficult to pick favorites! Thailand has been on our travel radar for so long but it looks like fall of 2015 will finally be our year to visit the Land of Smiles. Your gorgeous photos and virtual tour have only increased my interest in seeing this amazing area of the world! Hi Anita…Chances are our paths might cross. I’m generally in Thailand a couple of times a year, especially in the winter. Your beach pictures have a certain allure at this time of year.I actually had no idea Chiang Mai had so many temples. Your first photo of a glowing temple is spectacular. Hi Leigh, and thanks. I don’t how that first shot hadn’t made it out of the archives before this. Yes, I am half tempted to head to the beach sometime this winter. 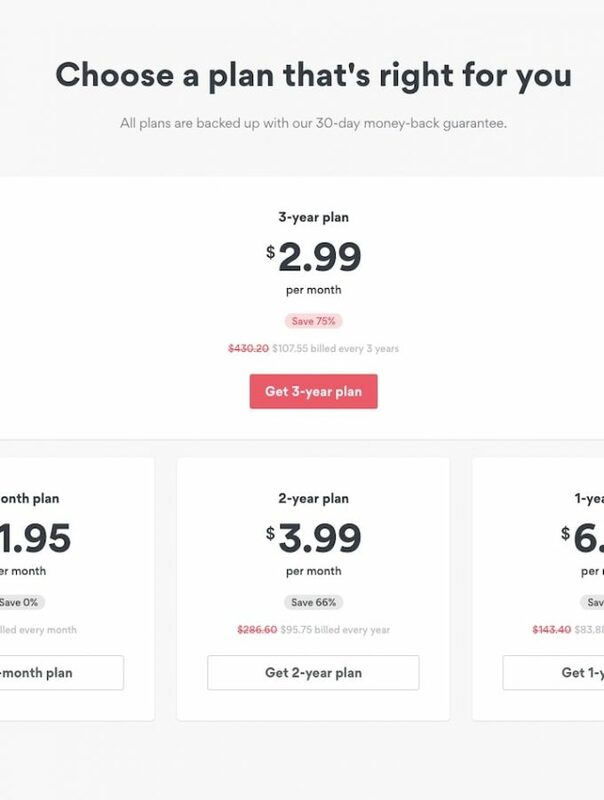 I’ll have to see what kind of cheap flights I can get out of CM. 300 temples? That is amazing. And I agree, I love that first shot, too. Enjoy your winter! Hi Cathy. Actually, it could be more than 300! Thanks, Noel. Yeah, I really like that shot too. That photo of all the candles is magnificent. 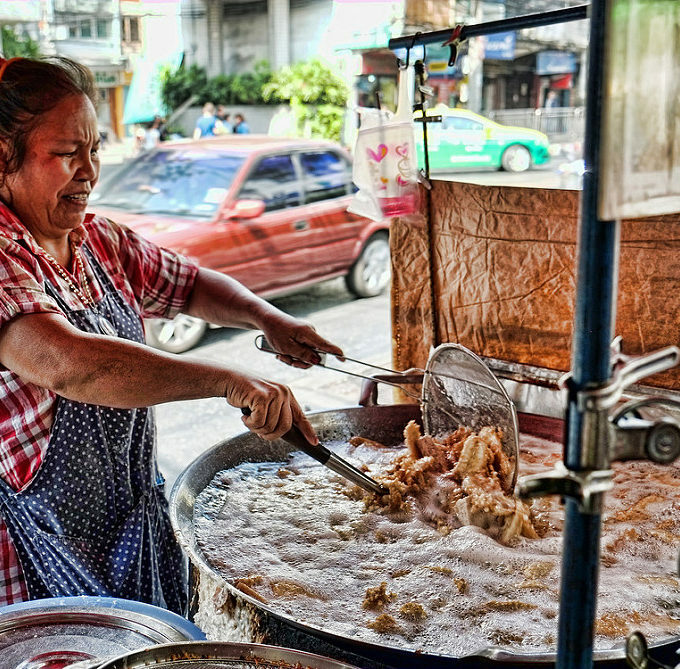 Did you know that your series of posts about Chiang Mai a few years ago was responsible for inspiring me to travel there myself. I loved that town, so thanks so much for planting that idea in my head. I’m hoping to hop back into blogging next week to join in your Link Up. I’ve been busy traveling this last week, and I had a chance to meet Traveling Solemates in person. I really like that you bring so many of us together virtually, and that it sometimes translates into the real world. WOW Michele! I had no idea! I’m thrilled to have been your inspiration. And another WOW that you got to meet a Travel Photo Thursday blogger. Where did you meet? Your photos are beautiful and bring back so many wonderful memories of my visit last year. Excellent!! Hi Marilyn. Thanks for your kind words. I’m happy that you enjoyed the photos! Your photos make me want to get on a plane right now. The first two (night shots) are my favorites. Love the colors! The photo from Ao Nang Beach is fantastic:-) I love sunsets in Thailand, anyway from the beach to BKK to a ruin temple in Ayutthaya. Lots of scenery and beaches in my link. 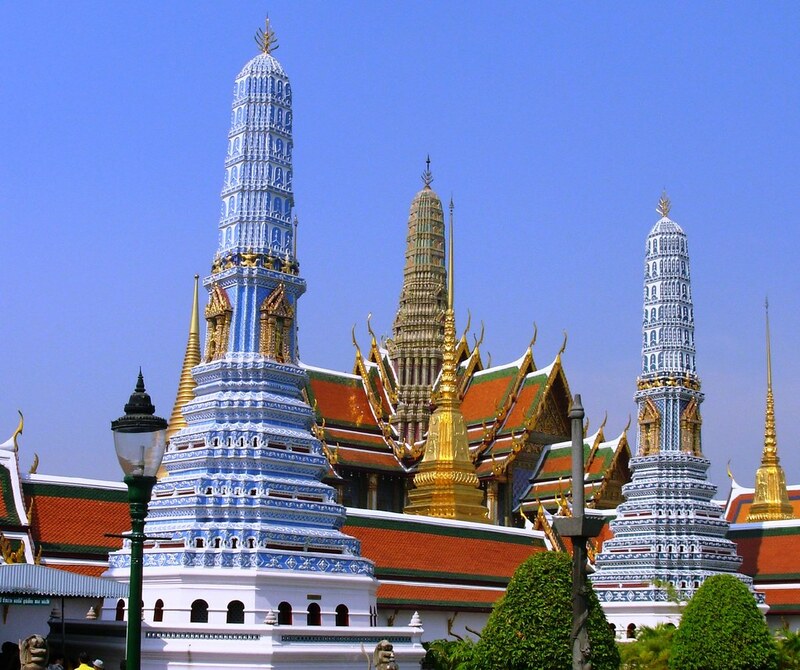 Thailand is an amazing place to visit and it has so much to offer. Thank you for sharing this post with us. The pictures are lovely. 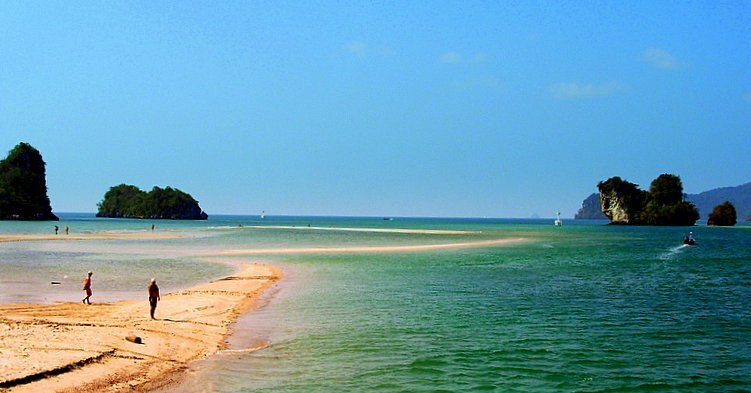 Hello Nancie my favorite island on Thailand is Koh Lanta too, relax, beatiful and very cheap place! Amazing your photos, do you visited Koh Lipe? Is a very beatiful place too.